From chino shorts to cropped trousers you will find everything you need to complete your summer look right here. Whether you are looking for a tailored or more casual style we are sure you will find what you are look for below. Pack full of Barbour, Joules, Seasalt and more you will find the perfect addition to your holiday wardrobe right here where we have done all the hard work and carefully selected all your holiday essentials. So what are you waiting for? Scroll down and choose your favourite pair. 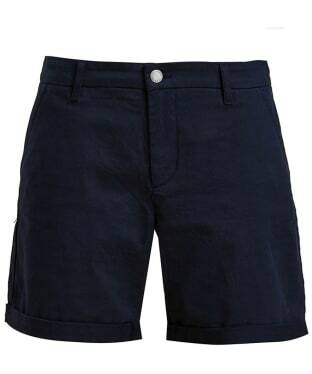 As the summer days arrive this season with Women's Barbour Essential Shorts is the perfect companion. 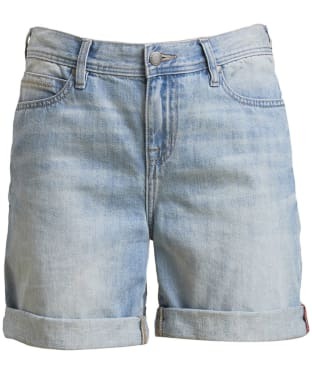 These simple and easy to wear garment dyed shorts will complete many of your favourite looks as the warmer days arrive! 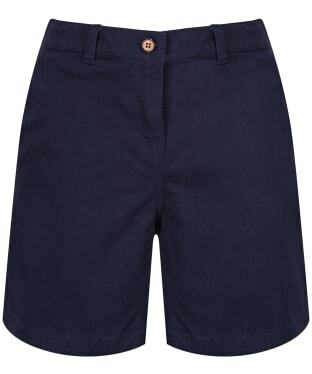 The Barbour Essential shorts have been crafted from a comfortable stretch cotton you are sure to love, the back welt pocket and Barbour branding to complete the look of these simple yet stylish shorts. 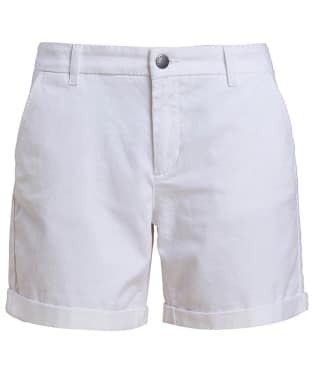 Whether you are heading abroad or staying closer to home to enjoy the warmer weather, the Women's Joules Cruise Mid Length Chino Shorts are a wardrobe essential for any stylish lady. Soft and comfortable, the shorts have been crafted from a cotton mix, with an added touch of elastane for ease of movement. 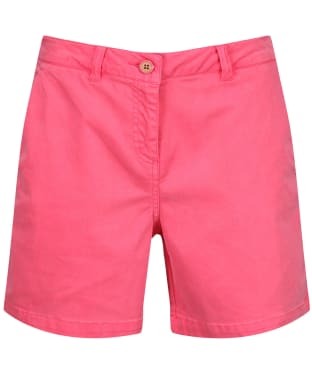 Timeless and on-trend, you can enjoy these high quality Joules shorts for springs and summers to come! The perfect accompaniment to your favourite tops, shirts and tees, the Women's Seasalt Albertquay Crops are sure to complete your stylish look with ease. 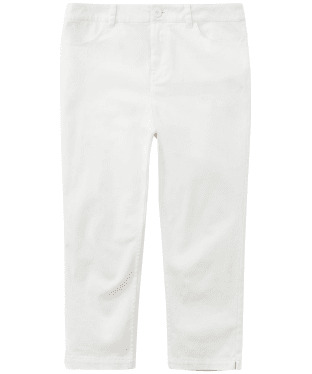 A fabulous choice for when the weather starts to get warmer, these ¾ length cropped trousers have been crafted from cotton for a cool feel, with an added touch of elastane for ease of movement. Inspired by Seasalt's coastal heritage, the crops are finished with an anchor engraved front button. 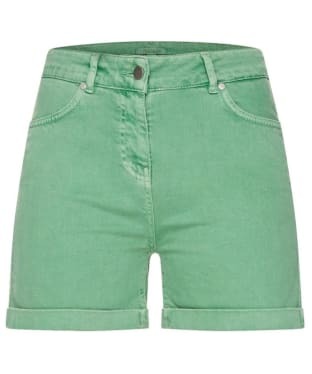 Perfect for completing your summer wardrobe with ease, the Women's Barbour Daisyhill Shorts have been crafted from super soft cotton denim, sure to keep you comfortable all day long, whether you are heading to the beach or simply enjoying a walk in the country! 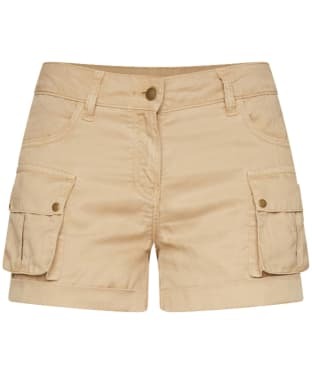 With a washed design and roll up hems, the shorts will keep you on-trend, with the five pockets allowing you space to carry those essential items. Made from easy-to-wear linen, the Women's Joules Lydia Shorts are an essential piece in any summer wardrobe. 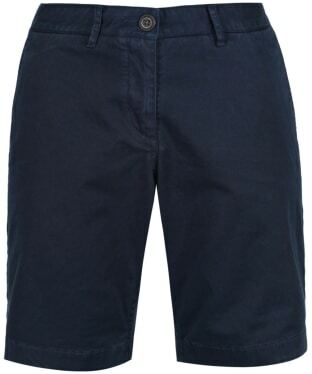 With plenty of pockets to store your essentials whether you heading down to the beach or into town, these shorts are perfect for everyday wear. We love the super soft comfortable feel and the timeless design that is sure to keep you on-trend through this season and beyond. 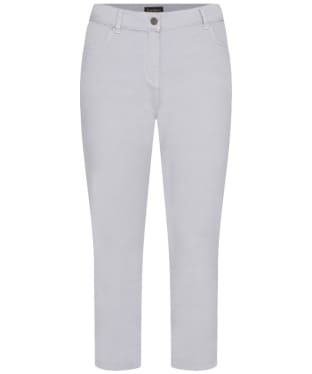 The Women's Crew Clothing Murray Cropped Trousers are perfect for pairing with your favourite Crew tee, shirt or polo to complete your stylish warm weather look with ease. Whether you are heading off on holiday or staying closer to home to enjoy some sun, the cropped design and soft cotton material are sure to keep you comfortable. The Murray trousers boast a timeless 5 pocket design and are finished with belt loops so that you can add a stylish accessory. 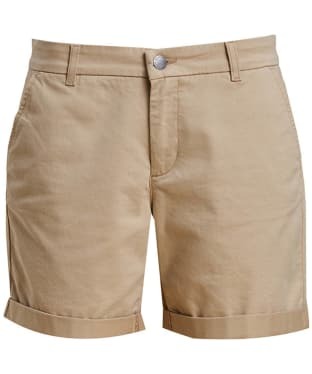 Ideal for the summer months, these women's Musto Chino Shorts bridge the gap between smart and casual styling. 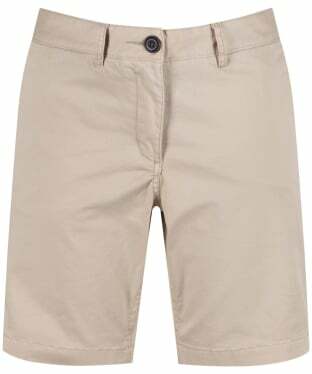 Easily dress them up with a stunning crisp white shirt and deck shoes, or pair with a tee and flip flops for casual style. 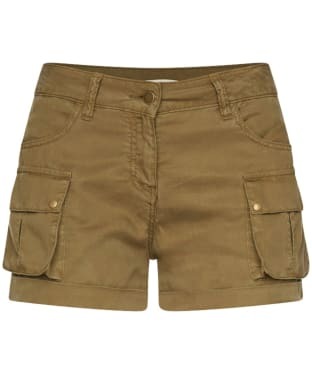 Complete with two side entry pockets for your essentials and a Musto branding label to the back, these chino shorts are finished with belt loops so you can add your favourite accessories. Please note that these shorts have a large fit, so you may wish to opt for a size smaller than usual. Complete your casual style this season and beyond with the Women's Barbour Pleated Chino, crafted from a blend of cotton and elastane for an added touch of comfort and wearability. The pleated detailing to the waist gives you a stylish twist and a feminine finish you are bound to love. These stylish cropped chinos are part of the Barbour Heritage Collection, the Barbour collection which gives the mix of tradition and style which many modern women are looking to find. 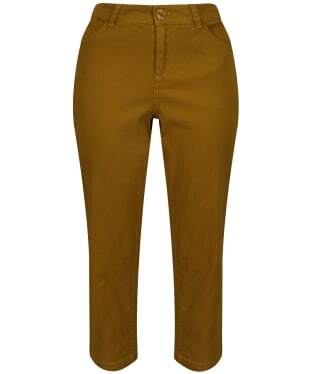 Team these beautifully crafted chinos with your much loved Barbour waxed for an added touch classic styling. 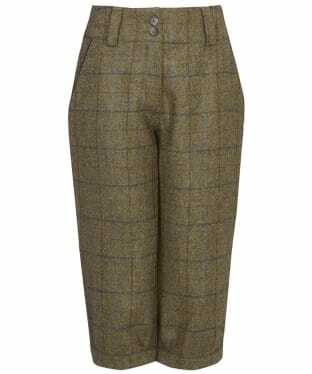 Women's Barbour Teesdale Breeks. 100% British Mallalieus Tweed tailored breek with elastication to cuff and leather trim to pockets. 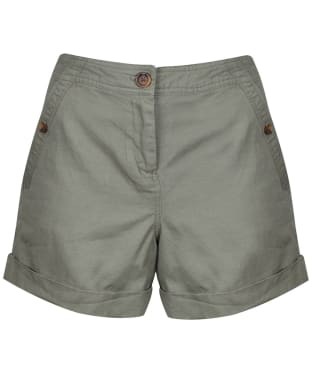 Perfect for when the weather gets warmer, the Women's Barbour Crusader Shorts have been crafted from super soft lyocell to offer a comfortable feel whether you are heading down to the beach or into town. These lightweight, loose shorts feature patch pockets to the legs, and are finished with jet pockets at the back and Barbour branded trims for that premium feel. 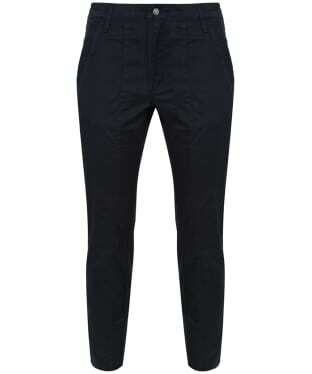 The women's Barbour Clachan Trousers are a sophisticated and stylish addition to your wardrobe, crafted from comfortable and soft stretch cotton with a brushed finish for a stylish touch. The 3/4 length style is a super flattering and incredibly versatile, featuring an exclusive dress tartan lining to the pockets and branded button rivets. The fitted style is figure flattering and can be worn with a plethora of items from t-shirts to vests and shirts with jumpers. Customers who return this product do so mostly because they find it too small. 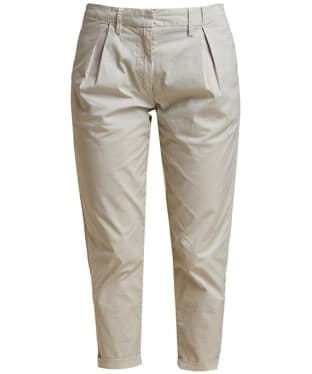 Perfect for a smart, casual summer look, the Dubarry Roscarbery Cropped Trousers are a stretch cotton twill trouser with a neat tapered leg and soft washed finish. 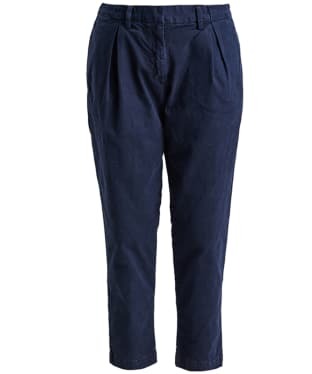 With extra stretch for added ease of movement, these Dubarry trousers feature a front seaming detail and multi needle stitching detail to the back yoke. 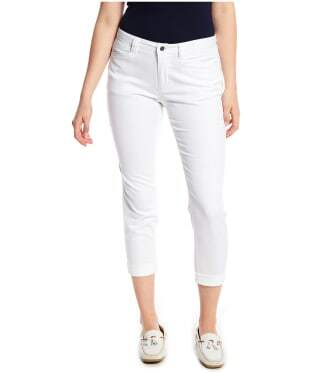 These cropped trousers sit just above the ankle, and include front and back pockets for added convenience. The Roscarbery Cropped Trousers feature a button and zip fly closure, the signature Dubarry branding, and belt loops for easy accessorising. 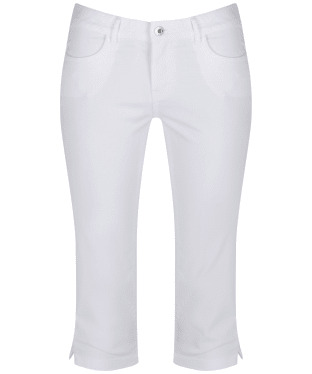 The women's Musto Elisa Capri Trousers are a spandex / cotton blend, making them flexible and a comfortable fit. 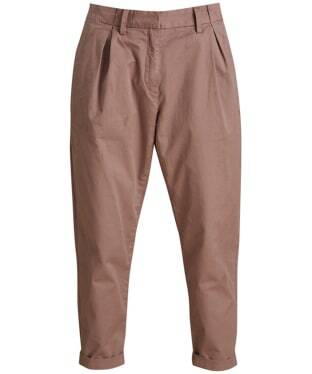 The trousers are ¾ in length meaning you will be kept cool whatever the weather, in addition to this there are also all the classic features of classic trousers with two hand pockets on the front, two back pockets and belt loops around the waistline. Worn with a simple nautical style t-shirt in the summer for a classic beach look that will keep you looking stylish all season long. Designed with comfort and style in mind the Seasalt Albert Quay Crops will be your favourite wardrobe staple season to season. 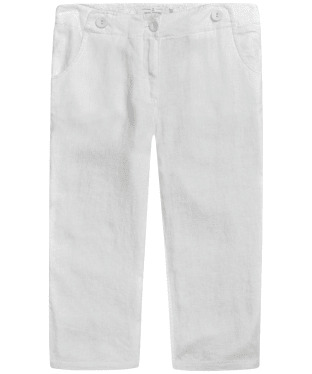 Pair with tees, sweaters and tunics; they are a great alternative to your usual pair of jeans. Featuring front and back pockets, zip fly with an anchor detailed button and hem splits for easy movement. 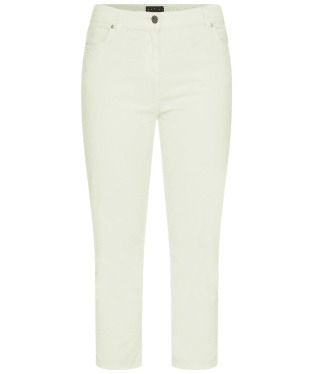 The Seasalt Albert Quay Crops are cut from a stretch cotton for comfort and ease, cut to a flattering slim fit, a definite must have for any stylish lady. 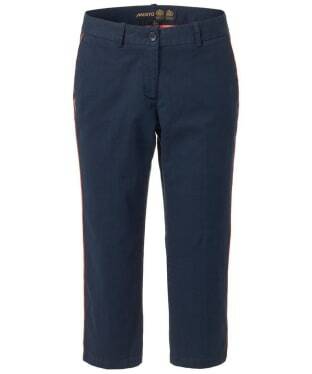 The Women's Barbour Essential Cropped Trousers are made from stretch cotton for your comfort and come in three fresh colours perfect for warmer summer days. They are a 5 pocket western jean design with zip fly and Barbour branding. 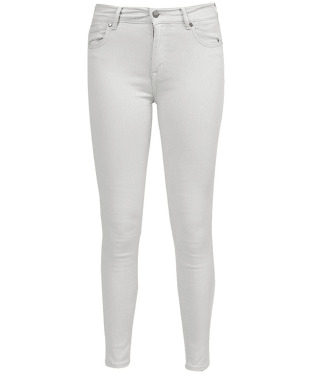 Slim fitting and cropped leg length. Team with your favourite t-shirt and short boots for an effortless smart casual weekend look. 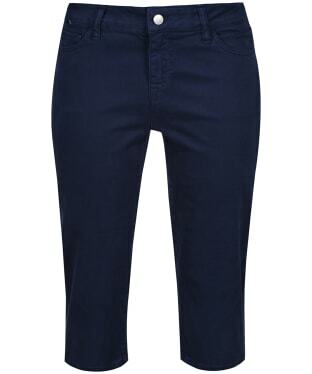 The women's Musto June Capri Pants are a sophisticated trouser style brand new to the Musto women's lifestyle collection. 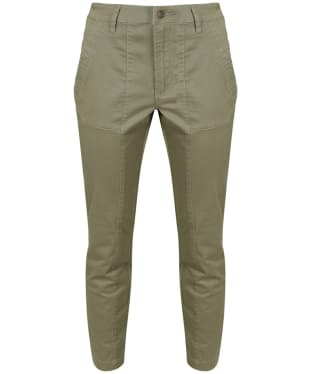 Taking inspiration from the Mediterranean coastal lifestyle, these chinos represent a relaxed but chic take on a casual style, finishing in a cropped length that's perfect for warmer climates. Crafted from a wonderfully soft and comfortable cotton stretch fabric, they boast a slim cut and straight leg fit in a smart aesthetic with pressed front for a slightly smarter edge. A traditional button fly fasten and pocket set up including rear jetted pockets add to the charm of these must have capri pants. Team with a relaxed oversized shirt or printed tee. 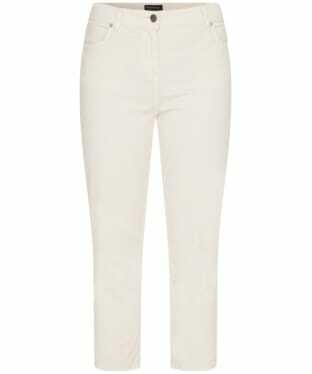 The Women's Seasalt Brawn Point Crop Trousers are an essential for any women's wardrobe this season, offering you a stylish linen crop you are bound to love. 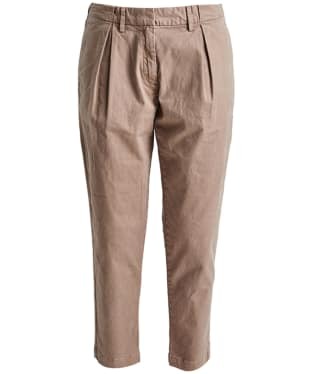 These trousers have been crafted from 100% linen for a lightweight and comfortable trouser, ideal for teaming with many of your favourite tops to complete your look with stylish ease.